* Announcement dates subject to change. The time is here!!! Winner is announced! Be sure to check out the live announcement from Instagram at @rbwalksintoabar and @stage32online. As you know, the National Lampoon brand was acquired by Palm Star Media last year and the new owners and management have been passionately seeking new comedy voices - We're thrilled that they partnered with Stage 32 and recognized our amazing community of talented writers as the place to find such talent. One word - The writing talent in this contest wasn't good, it was off the charts great. No lie, no hyperbole, our judges were constantly reaching out to say how much they enjoyed various scripts. So let's get on to the winner! Congratulations to the Winner - Julie Anne Wright for her script MY CLONE'S AN A-HOLE! Julie will receive a paid option from National Lampoon PLUS put in their mentoring program with their executive team! To all those who made the finals, all of us from National Lampoon and Stage 32 we wish you the very big thank you for participating! National Lampoon Joins Forces With Stage 32 to Find the Next Great Comedy Screenwriter! 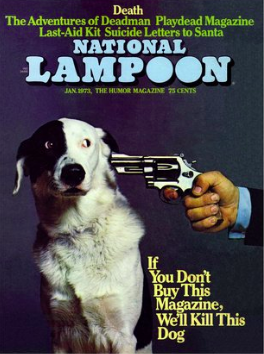 In the history of comedy, few brands have had more distinct and original voices than National Lampoon (“NL”). 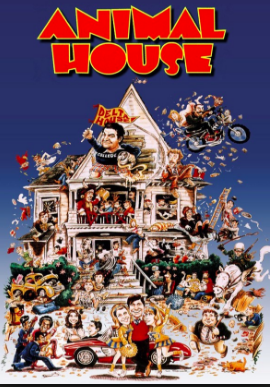 Founded by Harvard classmates and creative geniuses Doug Kenney and Henry Beard, NL launched the careers of John Belushi, Chevy Chase, Bill Murray, Gilda Radner, Christopher Guest, Harold Ramis, and groundbreaking writers including John Hughes. Beyond the socially satirical and irreverent magazine, the NL brand extended to stage shows, albums, books, and some of history’s most iconic feature film comedies including Animal House, Vacation, and Van Wilder. 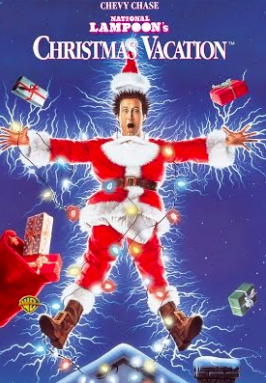 Last year, PalmStar Media acquired all the assets of National Lampoon and co-CEO’s Raj B. Singh and Kevin Frakes are hell bent on rechristening the brand by launching a variety of modern humor content. In doing so, they are looking for the next great comedy screenwriter and they’ve turned to Stage 32 to partner with on this mission. “We’ve admired Stage 32’s mission to help creatives from all over the world gain the knowledge, access and support necessary to succeed in this competitive industry. Additionally, Stage 32’s talent pool is undeniably the deepest anywhere online. We’re thrilled to join forces with them to honor our mission in finding and cultivating the next great comedic voices,” said Co-CEOs of National Lampoon Raj Singh & Kevin Frakes. This contest is open to all comedy writers. 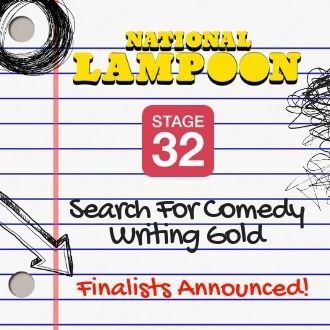 With an eye for highlighting traditionally underrepresented voices, the National Lampoon & Stage 32 Comedy Screenwriting Competition is looking to identify and champion a screenwriter and their comedy feature script. Some of the best comedy finds its success in providing unique insight on something familiar; the humor, irony, or absurdity in an everyday experience is illuminated by some alternate perspective. Accordingly, the comedy landscape—across every medium—is its most rich, thought-provoking, and entertaining when it is inclusive. Any writer or writing team may participate by submitting a completed feature-length comedy script they have written. For the purposes of this competition, we're looking for scripts with an emphasis on social satire; but, comedy is otherwise defined broadly: dark comedies, dramedies, action comedies, horror comedies, and any other genre-hybrids are welcome. The winning script will be offered a paid option of 18 months by National Lampoon and the winning writer put directly into their mentoring program. “National Lampoon is an iconic brand and I have a romantic attachment to so many of their films. To be working directly with Raj and Kevin to discover new talent to push forward their vision of the new National Lampoon is not only an honor and a privilege, but furthers the Stage 32 initiative of presenting all creatives with the tools and opportunities to be discovered,” said Stage 32 CEO Richard Botto.